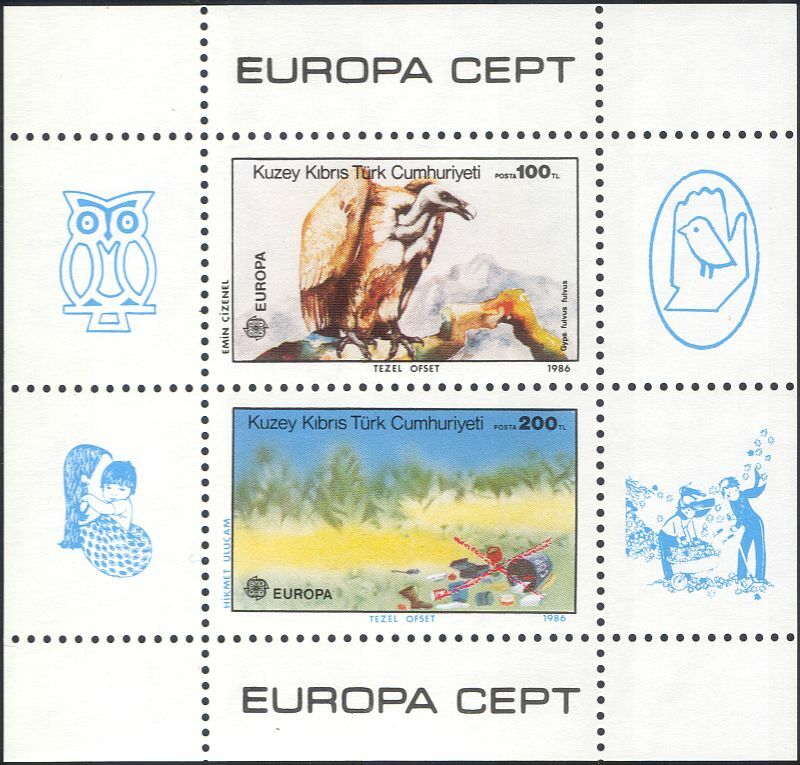 Cyprus (Turkish Posts) 1986 Europa : Environment and Ecology 2 value miniature sheet depicting Griffon Vulture and Litter in Landscape - in excellent u/m (mnh) condition (Stanley Gibbons 2019 Catalogue Value £10) - superb country, birds, raptors, owls, pollution, nature, wildlife, animation thematics. If you cannot find the specific stamp set or thematic/topic you are looking for either here in my shop or at the brumstamp stamp shop on eBay http://stores.shop.ebay.co.uk/The-Brumstamp-Stamp-Shop please do not hesitate to contact me. Enjoy browsing and shopping. Andrea!